It is easy to get caught up in the excitement of the holidays. But, slow down for a minute. Have you ever noticed how wasteful we are around the holidays? Recently, it was reported Americans will create an extra 25 million tons of waste between Thanksgiving and New Year’s. THIS holiday season can be different. Now is the time for YOU to start a new tradition, celebrating the holidays with amazing earth-friendly flair. Avoid Over-Gifting – Many people don’t think of gifts as garbage, but the packaging it comes in is instant trash. Give one or two good gifts, being sure to recycle the packaging when possible. And with the money you save by cutting out extra gifts, you’ll be able to donate to charities that help those less fortunate. Give Homemade Gifts – Sometimes the best gifts are homemade. They often hold sentimental value or reflect on a special memory. And better yet, they don’t come with all that fancy packaging that will end up in the trash as mentioned above. Reduce Greeting Cards – More than 2.6 billing holiday cards are sold each year and most of them end up in the trash. Trim you card list by just a few people. Send an e-card instead saving postage and reducing waste. If you send traditional cards, buy cards made of recycled paper. Recycle the cards you receive. Cut them up and use them for gift tags next year. Buy Organic – If you prefer to have a real Christmas tree, check with tree farms before you buy. A local tree farmer might not consider himself and organic grower, but ask if he sprays his trees with chemicals. It is healthier for you and the environment if your tree hasn’t been sprayed with chemicals or synthetic fertilizers. Dial Down the Amps – Holiday light displays left on 24 hours a day can potentially quadruple your energy bill. Use a timer for your light displays rather than leaving them on all night. Replace old strands of lights with LED lights. They use about 90% less energy than standard mini-lights. Or, you might consider cutting back or trimming your light display a little bit. 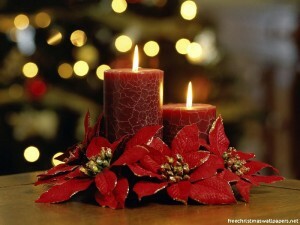 Light Up with Candles – The holiday season is the perfect time to illuminate your home with candles. Often it only takes one candle to brighten a bathroom or a centerpiece of short and tall candles to light the dining room. Not only is using candles an easy way to decorate for the holidays, but in many cases, it is a good way to eliminate some or all overhead lighting in a room resulting in energy savings. Furthermore, candle heat paired with your own body heat will warm up a room nicely over the course of an evening allowing you to lower the thermostat a few degrees. The result – a reduced energy bill. Remember to use caution around burning candles. Ship Light – When shipping gifts, think light weight and small. Fewer and smaller packages take up less room on a mail or delivery truck, using less gas and wasting less petroleum. Reinvent Gift Wrap – With tons of wrapping paper ending up in the garbage each holiday season, it is time to get creative. Anything that covers and conceals your gift is an acceptable choice for gift wrap. Think outside the box. Try T-shirts, a colorful throw blanket, a decorative pillow case, or a furry scarf. Better yet, reuse gift bags from gifts you’ve received or have the kids paint and decorate used paper grocery bags and tuck your gifts inside. As for the gifts you receive. Open them carefully saving the paper for next year’s wrapping. Prepare Just Enough – Tons of food are wasted every holiday season due to special dinner parties and holiday get-togethers. If you are hosting a holiday gathering, don’t overdo it. Keep your menu simple. There is no need to have numerous choices of salad or dessert. Prepare only your favorites ensuring you there will be minimal leftovers. And if you don’t plan to eat the leftovers, send a to-go bag home with your guests. Recycle – Recycle everything you can. Gifts come with lots of wrapping and packaging. As you open gifts, recycle what you can, plastic, paper, cardboard, etc. But don’t stop there. Recycle your tree. Some local governments recycle trees into mulch while others use them for animal habitats in parks and lakes. However you choose to recycle your tree, make sure you do it responsibly. Remove all ornaments, hooks, tinsel and light strands. Artificial trees can be recycled too. If you’re tired of your artificial tree, donate it to a church, community center, shelter or another place that decorates for the holidays. It is fun and exciting to be part of the holiday festivities, just remember the holidays are waste makers. That is why it is important that you start changing the holidays for the better. These environmentally-friendly holiday tips will get you started.